This was one of the first meals I had in Hong Kong. I was walking down the street with my brother and he said, “how about this place?” I couldn’t read the menu, ignored the ducks hanging in the window and said, “why not.” I ordered grilled chicken and a few chicken legs were place in front of me. They were expertly cooked, but to finish, they chopped them (right through the bone) into 1 inch sections. Different than I thought, actually I thought it was pretty bizarre, but it was so good! The best part was the ginger scallion sauce that I recreated here. I hope you enjoy! For the best results, I start prepping the chicken in advance. You can start 4 hours before you plan to eat, or the night before. Butterfly the chicken breasts, cut them in half, so they are thin. I do this because it cuts down of the cook time on the grill. This is important because if you were to grill a whole chicken breast instead, the chicken might get a little too much caramelization from the glaze and marinade. Add all chicken to a zip top bag with the marinade ingredients (again, this is overnight, or 4 hours before cooking). Heat your grill to a medium. Place the chicken on the grill and cover with glaze and cook for 5 minutes. Flip the chicken and immediately add the glaze. Cook for another few minutes, flip and glaze again. Your total cook time is about 12 minutes, or until the chicken is no longer pink inside. Remove from the grill to a plate. 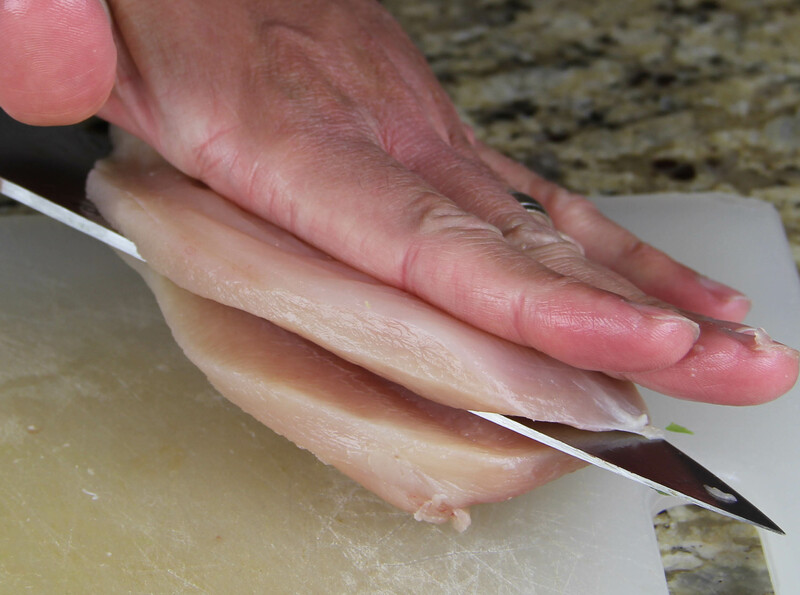 To serve, cut your chicken into 1 inch strips and place over your steamed rice. Drizzle with the sauce and enjoy! Pour oil into a pot over medium-high heat for 6 minutes or until the oil is just about smoking. Let ingredients rest/cook for 10 minutes until room temperature. Add all contents to a blender and puree until smooth, for 2 to 3 minutes.